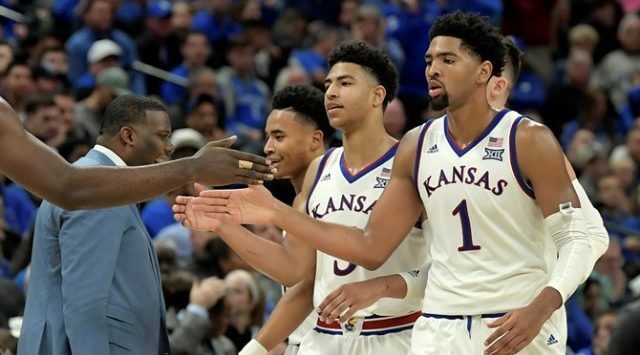 IRVING, Texas – The Kansas duo of Dedric Lawson and Quentin Grimes swept the first Big 12 weekly honors of the 2018-19 season, the conference office announced Monday. Lawson is the Big 12 Player of the Week, while Grimes is the Big 12 Newcomer of the Week in a vote by a media panel which covers the conference. In No. 1 Kansas’ 92-87 win against No. 10 Michigan State in the State Farm Champions Classic, Nov. 6, Lawson recorded a double-double with 20 points and 14 rebounds. The 6-foot-9, Memphis, Tennessee, forward also led KU with six assists in the win. The double-double was Lawson’s 37th career as he had 36 in two years while at Memphis before transferring to Kansas following the 2016-17 season. Lawson became just the fifth Jayhawk since the 1988-89 season to record a double-double in his KU debut and the first since current sophomore Marcus Garrett had 10 points and 10 rebounds versus Tennessee State last year. The Preseason Big 12 Newcomer of the Year, Lawson is on most every preseason national player of the year watch lists for 2018-19. In his collegiate debut, Grimes led all scorers with 21 points in the win versus Michigan State, which was played at Bankers Life Fieldhouse in Indianapolis. The Woodlands, Texas, guard was 7-for-14 from the field, including 6-for-10 from 3-point range and had four assists. The 6-foot-5 Grimes’ six 3-pointers were the most in a KU debut as the 3-point shot was instituted for the 1986-87 season. Grimes is the Preseason Big 12 Freshman of the Year and has been listed on the Naismith Trophy and Wooden Award preseason watch lists for 2018-19. 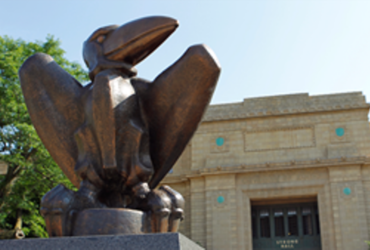 Historically, Kansas has won the more Big 12 weekly honors than any other school with 120 in the 22-year history of the conference. Lawson is the Kansas’ Big 12 Player of the Week for the 72nd time, while Grimes is KU’s Big 12 Newcomer/Rookie of the Week for the 48th time. Iowa State and Texas are tied for second on the combined most named for Big 12 weekly honors at 95. No. 2 Kansas (1-0) will host Vermont (1-0) in a campus round game of the NIT Season Tip Off, Monday, Nov. 12, at 8 p.m. (Central) on ESPN2.